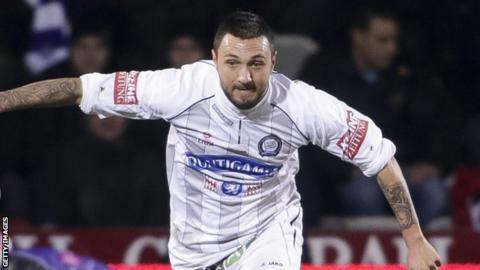 Dundee United have signed former Ajax striker Darko Bodul on a two-year deal. The 26-year-old, capped at Under-21 level for Croatia, joins from Austrian Bundesliga outfit SC Rheindorf Altach. Darko, who holds an Austrian passport, joined Ajax in 2009 and has since played with Sturm Graz and in Denmark with Odense. "He is technically gifted, skilful and a penalty box goal scorer," manager Jackie McNamara told the United website. "We have been chasing several strikers this summer but once it became apparent we could secure his signing, this was one we wanted completed quickly. "I am excited about seeing him wear the United kit and he will entertain and excite our fans."